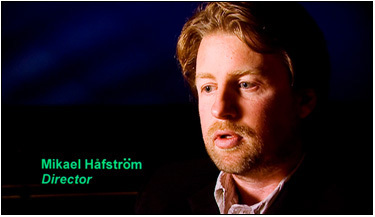 • Commentary by Director Mikael Hafstr�m and Writers Scott Alexander & Larry Karaszewski. 1408 reconsiders the popular euphemism to now read: Scary things happen. An unkind review might read: Cynical writer of haunted houses debunked, John Cusack, checks into a hotel room where scary things are said to have happened. He dares them. Scary things happen. Less unkind: John Cusack's daughter died at a young age. Now estranged from his wife, he goes about the country investigating notorious hotels and other night spots expecting to debunk them. He writes about them. One day he suffers a bad blow to the head by surfboard. He comes to on the beach. Is he really dead, we ask ourselves? 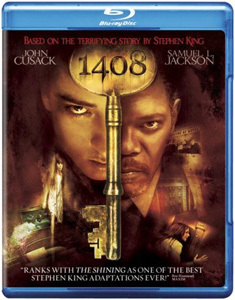 Cusack finds a postcard daring him to check out room 1408 at the Dolphin Hotel in New York City. He is strongly advised by Hotel Manager Samuel L. Jackson not to spend so much as five minutes in that room in which a couple score people died mysteriously and unpleasantly. For all practical purposes 1408 is now closed to the public, though appearances are kept up so as not to frighten hotel patrons unduly. Cusack is determined to spend the night. He closes the door behind him and waits. It doesn't take long for a series of increasingly scary things to invade and/or alter the room. We ask again: Is he dead? But as these things begin to involve his father, daughter and wife, we start to ask whether these things are just metaphors for a grieving process he may never be able to work through. M. Night Shyamalan did us no favor by placing questions like these in our head. We can no longer enter the world of horror with the innocence we once had for Robert Wise's The Haunting or Kubrick's The Shining. It's not that we require things to be scarier, it's that we need them to be honest. And, at the very least, the actor/victims themselves need to be convincing as frightened and vulnerable. Cusack, whom I have always admired from The Sure Thing on, never convinces me that he's in a frightening room, though he tries most all the right things. Perhaps he wants to keep all the possibilities about his characters so alive in our minds that it's like he's playing all of them at once, with expected results. Jackson is, in his own way, detached. Of course, his character is unclear to start with since we don’t know what metaphysical plane he's operating in. Keeping us guessing about reality is not my idea of horror – or even of some internalized psychic voyage. So, why did I think – and still do - that Mulholland Dr. was the picture of 2001! The first number indicates a relative level of excellence compared to other Blu-ray video discs on a ten-point scale. The second number places this image along the full range of DVDs, including SD 480i. I felt the image to be vague with dull blacks, a bizarre color palette and overzealous contrast. I would like to have known if this is how the movie looked in theatres, but it wasn't all that much fun to watch on its own terms. I found the dialogue, which is often soft-spoken, as is Cusack's trademark, to be a little muddy, even in the uncompressed audio track. Otherwise, the Dolby True HD mix was sufficiently suggestive of atmospherics – nothing like we heard in The Orphanage, but pretty good all the same. Sensibly laid out, except that I thought the fonts smallish for displays under 50 inches. 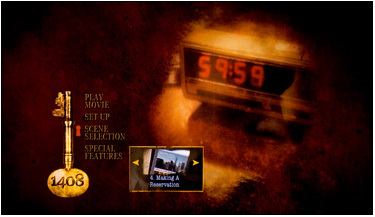 I only missed not having elapsed times for the bonus features. 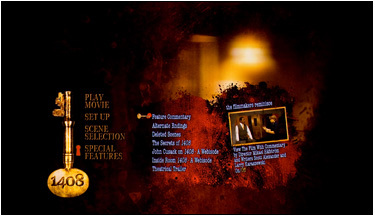 Most of the supplemental material are presented in 1080i (and is duplicated on the 2-disc SD-DVD reviewed HERE), which has the appearance of being upscaled from a lower value. 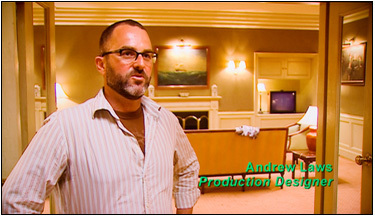 All the same, the numerous takes on production, set design, characters and the director are worthy, brief as they are. I found the commentary more interesting when the writers talked about how they developed Stephen King's short story into their scenario for the film. 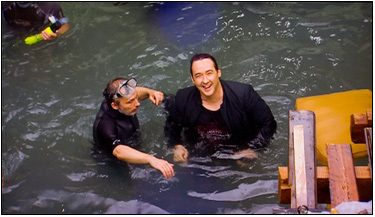 Given the promise of a movie with Cusack and Jackson, I expected something more agreeably disturbing. Not today.